Apparently some police officers, each in their own jurisdictions and with disproportionate community representation and oversight have decided to engage in their own stochastic terrorism, where random LEOs have taken it upon themselves to exceed authority and in some cases execute suspects. An unspoken rule of engagement seems to have infected law enforcement with lethal results for innocent civilians in the post-#BLM era. Police, under color of authority have decided police lone wolves and the packs of decent LEOs need only to police themselves as accountability apparently should be alienated rather than socially constructed. We all bowl alone whether it’s in a police or a civilian bowling league. There’s nothing mysterious about this process. It is not much different to other instances where a person is almost ready to make a decision, and the right combination of inputs makes them act. For example you have an old car and it begins to break down more often: now you’re thinking about replacing it, and you might be swayed by something in an automobile advertisement. Anyone who is familiar with marketing and advertising knows how this works, and advertisers often target their messages to people who are “ready to buy” and just need a little persuading. Political candidates often target their ads to the undecideds, hoping that a little nudge will win them some votes. This is perfectly normal and hardly insidious. That is, we seem to have a national conspiracy of force being applied by police lone wolves, where executing suspects in extrajudicial ways is now the tragic norm, revealing not only failures in training and tactics, but even in understanding what would be reasonable force. So in Tulsa, you see three LEOS, two of which are firing tasers, with one firing their sidearm, there’s something wrong procedurally, because in the name of justice they should not act randomly. The rule of firing squads armed with at least one blank round does not apply to everyday policing. 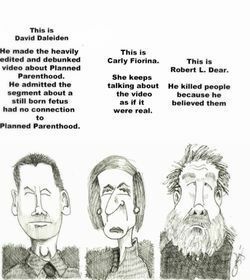 Whose cause is probable, just look at the video below. 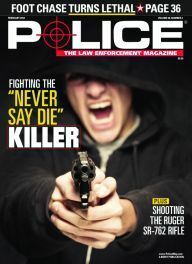 And LEOs often choose targets who in some cases do not even understand that their cognitive disabilities are also deadly liabilities because of poorly trained police or ones susceptible to after-action obstruction behind thin blue lines of silence. See last night’s events in NC. An LEO lone wolf can be quite safe, hiding in plain sight within a squad, but with their ability to use deadly force, the media frenzy over police violence makes them more susceptible to abuse of power, whether it’s the activism of police unions, the pro-police RWNJs, the paramilitary-minded politicians, or conservative hate media. Municipalities and their respective prosecutors have treated police officer suspects with a wide variety of results despite a US Constitution and Rule of Law. LEOs have been fired, charged, convicted, indicted, released and sued. In those cases with more egregious exoneration, should the taxpayers bear the burden of civil suits or the feds bear the prosecution costs of violated civil rights. Yet as we have seen, there is a unanimity among police communities in their resistance to using body cameras or simply ignoring them with mixed results. Who really polices the Po-Po. 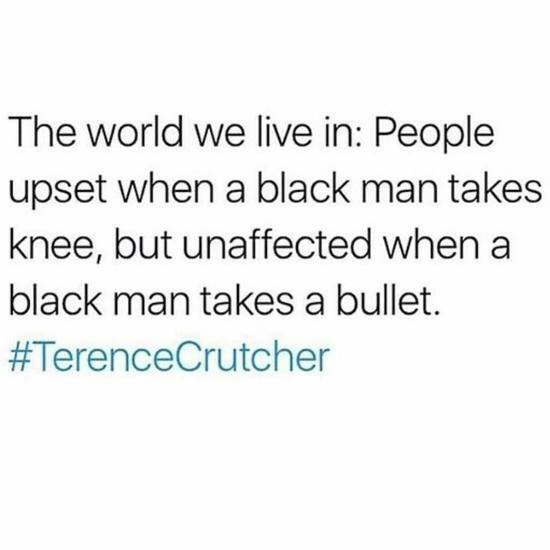 Four days ago, #TerenceCrutcher. Now #KeithLamontScott. They were fathers. They weren’t supposed to be hashtags. 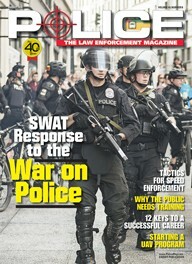 The failure of the so-called scientistic neologism (“stochastic”) is that it applies equally to law enforcement since they are also media-affected citizens as well and the recent trend of police extrajudicial killing has now featured police activism resisting in a variety of ways, ranging from pro-police rhetoric as at the RNC, politicians protests, strike threats, and job actions. To date, it have been used to normalize the fear and hate of various terrorist Others and to affirm the power of state power and institutions. Individuals acting randomly within state-sponsored terrorism can be as problematic as individuals performing terrorist acts, pledged(sic) or otherwise motivated. The same degree of so-called non-random randomness applies to police departments or individual officers considering recent events. Cops are subject to the same media influences and can become “random actors to carry out violent or terrorist acts that are statistically predictable but individually unpredictable”. Where in the case of armed civilians, radicalized or not, have violated the law, LEOs radicalized or not, have violated our trust when they kill the innocent. Police dog whistles are still dog whistles. This entry was posted in 2016 Election, Big Brother, Breaking News, Civil Liberties, Criminal Law, DOJ, Government, Media, Politics, Racism, Society, Terrorism, Uncategorized and tagged 2016 Presidential Candidates, Ferguson (MO), Law Enforcement, Officer Involved Shootings, police, Terrorism. Bookmark the permalink. Yep, I call it the bully victimhood, where the one causing the action uses such action as further justification for their current sense of being targeted, and therefore a victim, which in turns empowers them to take action in order to protect them from something that, ultimately, exists nowhere but in their own heads. But it is not random, it is always the legacy of oppression, the burden of the oppressor, and it was found in white occupying indian country, in South african apartheid, it is found in Israelis occupying Palestine, it is found in American imperialism occupying the globe, and as for every macro its micro, it is found in the symbol of the state, the cops, as they relate to the symbol of the occupied, Black people. But, yes, the cops are taking it upon themselves, as they have always done,especially during the civil rights movement, to mete out justice as they see it. and they are more brazen about it, and the hidden groups they have formed in order to do just that are revealing themselves. A black U S flag with a blue line through it. No symbolism there. During the fist six months of 2016, The Guardian’s database reports that police in the US killed 532 people. Many of those shot have been found to be unarmed, mentally ill, and people of color. That makes close to a hundred people per month being killed by police officers. No one in their right mind will claim that every one of them were unjustified. Some of those shot were either trying to kill the police officer, or the officer interrupted a murder in progress. When I was growing up as a kid, the stories of police shootings were more rare than airline crashes, if the headlines were to be believed. 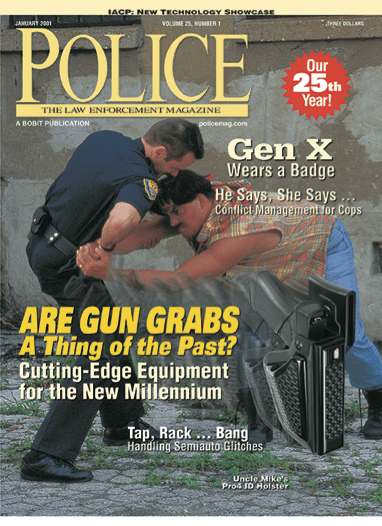 The problem continues to be how we even tabulate the data and LEOs must be able to protect themselves and the public… the real problem occurs with disinformation about “wars on police” in an age when there are non-lethal and procedural options. There are unfortunate anomalies like the rapid charging of the Tulsa LEO with 1st degree manslaughter perhaps to facilitate plea bargaining as well as the LEO’s spouse flying the helicopter making the video. The fact there are still photos of that driver’s side window being rolled up did not help her case. That proved her lie when she said he was reaching into the car. In the Charlotte, NC shooting case, I am wondering if the gun found at the deceased man’s feet might be a “drop gun.” It is not a myth. Some officers carry a cheap, unregistered, small caliber pistol to drop beside a body after a shooting to “prove” it was justified. Back in the late 1980s, I worked on a wrongful death civil lawsuit in Federal District court in Aberdeen, MS. The local Constable shot a drunk man he stopped. The man’s wife was in the car as a passenger. The Constable took the drunk around behind the car where the Constable shot and killed him. Wife said her husband did not even own a gun. There was a .32 pistol beside the body. Constable said the man pulled the gun, so he had to shoot him. The pistol was traced back to the Constable’s girlfriend. The jury verdict was in favor of the defendant. They were afraid if they awarded damages to the widow and family, their taxes might go up.